Also known as Angles or tapers on walls of plastic part features. Draft angles are one of the most important design guides for injection molding of plastic parts. Parts without draft can still be molded but they can and will have issues during ejection from the mold. As the plastic cools it shrinks around the mold core causing an enormous amount of friction. While overcoming this friction the ejector pins push into the plastic resulting in pin push. 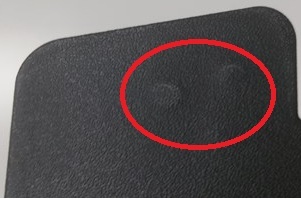 This results in undesirable marks and distortion of the plastic part. 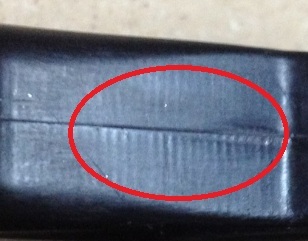 Drag marks are caused by the plastic adhering to light scratches or textures in the mold side walls. Thus, when the part is ejected the plastic peels out of these light scratches or texture causing drag marks. When drag marks are present then the parts are often distorted whether pin push is evident or not. Regardless of how smooth the surface finish is, it is never a good idea to design a part for injection molding without draft. There are no minimum draft requirements as each part has different features. However as a rule of thumb a part that does not have in mold texture should have a minimum of 1 degree draft on side walls. When adding texture to a cavity of the mold it is a good idea to find out the manufacture spec for minimum draft requirements before starting your part design. This will eliminate the need to redesign your part as texture usually have a large draft angle requirement, usually 3 degrees and up.